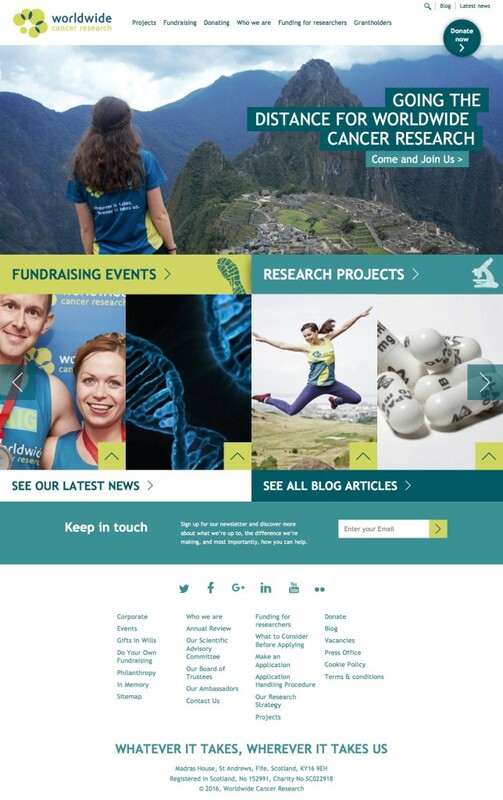 The Union developed a new website for Worldwide Cancer Research to enhance the leading UK charity’s story, and improve supporter engagement with a new donations and fundraising section. The site includes integrations with Just Giving and Eventbrite, plus an interactive projects map which highlights the science the charity supports all over the world. The site was designed an built by Union Digital, the agency’s digital and online marketing arm. The site can be viewed here.